This course provides a hands-on tour of the forecasting functionality in Model Studio, a component of SAS Viya. The course begins by showing how to load the data into memory and visualize the time series data to be modeled. Attribute variables are introduced and implemented in the visualization. The course then covers the essentials of using pipelines for generating forecasts and selecting champion pipelines in a project. It also teaches you how to incorporate large-scale forecasting practices into the forecasting project. These include the creation of data hierarchies, forecast reconciliation, overrides, and best practices associated with forecast model selection. Automatically create and fit custom forecast models using structured analytic workflows or pipelines. Visualize modeling data using attribute variables. Refine forecast models to improve forecast accuracy. Generate forecast data sets for deployment. Build and share custom pipelines for large-scale forecasting analyses. Before attending this course, you should be familiar with applied forecasting concepts. You do not need formal training in statistics to benefit from this course. Programming experience is also not required. 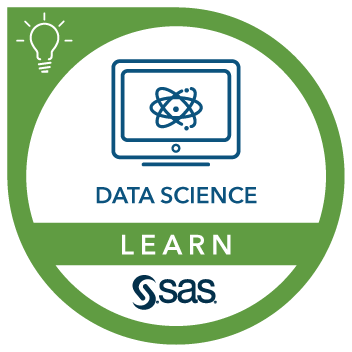 This course addresses SAS Visual Forecasting software. Creating a forecasting project and loading the data. Visualizing the modeling data using attribute variables. Pipeline templates and pipeline comparison. Accuracy statistics and forecast model selection. Time series data creation and forecast reconciliation. Adding event variables in the TSMODEL procedure.